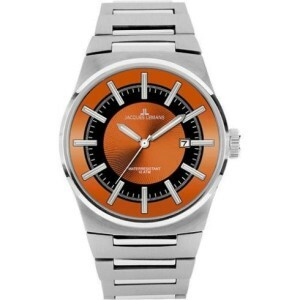 Jacques Lemans Nevada Orange Dial Men's Watch with Stainless steel case with a stainless steel bracelet. Fixed bezel. Two-tone black on orange dial with silver-toned hands and index hour markers. Dial Type: Analog. Luminescent hands and marker. Date display at the 3 o'clock position. Quartz movement. Scratch resistant mineral crystal. Push/pull crown. Solid case back. Case diameter: 44 mm. Case thickness: 8 mm. Round case shape. Band width: 16 mm. Fold over clasp. Water resistant at 100 meters / 330 feet. Functions: date, hour, minute, second. Casual watch style. 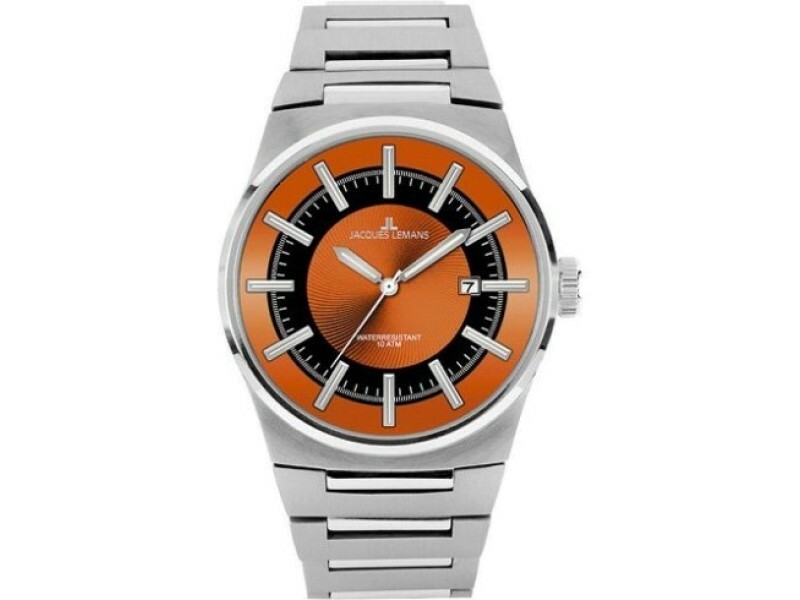 Jacques Lemans Nevada Orange Dial Mens Watch 1-1334D.